Ahoy, Chicago. 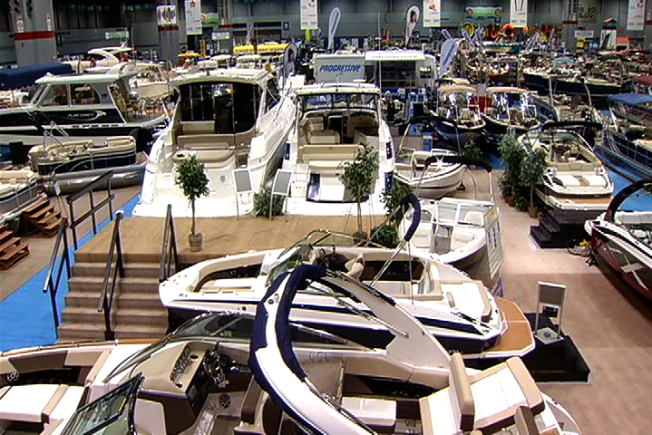 The 83rd annual boat show shoves off Wednesday at McCormick Place. Described as the Midwest's largest recreation and leisure show, the Chicago Boat, Sports & RV Show aligns with an unseasonably mild winter as the city breaks a 72-year-old record for longest stretch without an inch of snow on the ground. If that puts you in the mindset for summer fun and trips to the lake, you're in luck. More than 40,000 visitors are expected at the five-day show featuring 500-plus boats, including everything from kayaks to yachts, as well as RVs, marine accessories, and interactive and educational activities that include Scuba diving and fishing. Be sure to check out the new Virtual Lighthouse & Harbor Experience featuring a functional lighthouse, docks and boats where folks are encouraged to eat, relax and listen to music. Also new this year is Paddlefest, where experts demo water skills and Scuba lessons. Doors open at 2 p.m. Wednesday until 9 p.m. Show hours are 11 a.m.-9 p.m. Thursday through Saturday and 10 a.m.-5 p.m. Sunday. Tickets cost $12 for adults, $36 for an adult weekday four-pack and free for kids under age 15.